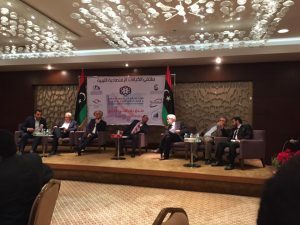 Libya’s business private sector called for radical reform of the country’s economy (Photo: Social Media). Top representatives of Libya’s main business and industrial sectors called for radical reforms to the country’s economy at a meeting held at the Bab El-Baher hotel in Tripoli on Tuesday. The meeting discussed the main barriers to the development of the Libyan economy and the various acute problems it is currently facing. 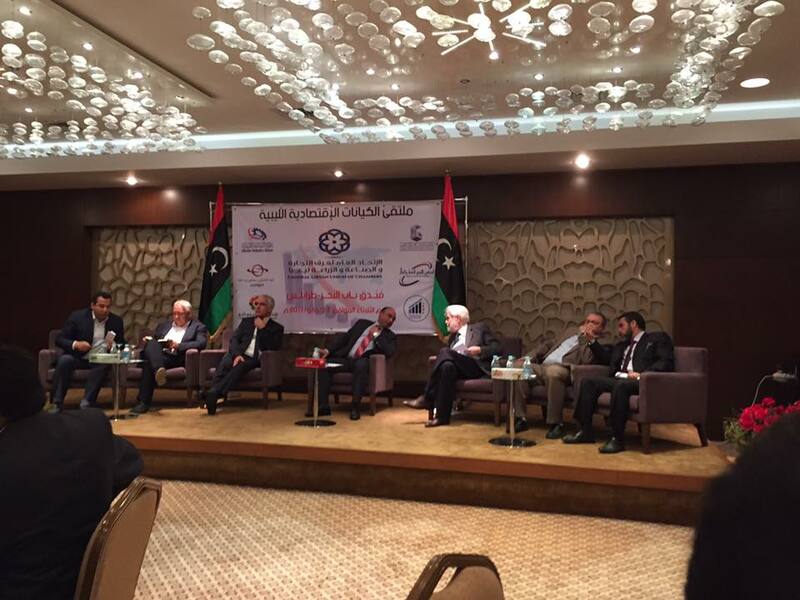 The gathering which included the General Union of Chambers of Commerce and Industry, the Libyan Businessmen Council, the Libyan Industrial Union, the Libyan Oil and Gas Council, the Contractors Union and the Libyan Merchants Union – called for the private sector to be put at the heart of Libya’s economic growth and development. They demanded that the state be decentralized and its role in the business and economic sector be reduced to that of lawmaker and monitor, leaving the environment for the private sector to play its role in a free market and competitive manner. They also called for the reform of the current laws and regulations, a legacy of the socialist, welfare, dictatorial Qaddafi state – to enable a modern competitive business sector based on competitive advantage and added value in order to enable Libya to play its role on the international economic arena. The gathering also discussed the low value of the Libyan dinar against hard currencies, the bank cash shortage, imports, Letters of Credit, Central Bank of Libya monetary policy, government policies, the need for increased competition, efficiency and productivity. There was also a call for the private sector to increase its economic activity and to increase its contribution to Libya’s GDP, including through the increased allocations of LCs to local industry. This would help reduce inflation and prices, increase consumer purchasing power, stabilize the economy and politics of the country through increased employment opportunity. The business community called on the state to give it a central role in drafting new business-friendly strategic reform policies and a central role for the stock market as a provider of capital for economic growth in order to reduce the demand on the state budget. Some participants were critical of the Serraj GNA Economy Minister for leaving the workshop immediately after giving his opening speech and noted that the Central Bank of Libya failed to participate in the event.